How many colored solar panel options are there to choose from? How efficient are Colored Solar panels? Colored Solar™ panels are performance tested at the National Renewable Energy Labs, NTL Laboratories, also by internal quality control experts and are equally efficient to standard black solar panels. The efficiency is greater than 15%. Where are colored solar panels manufactured? Colored Solar™ panels are manufactured in the USA, and are designed and engineered to exceed North American, and global certification standards. Colored Solar™ is located in Los Angeles, California. Can I request a custom color, or design? Custom color choices, design choices are available, however, there is a minimum order size of 3,000 panels. Each Colored Solar™ panel is a unique product, and individually designed and engineered to meet our customers requests. Similar to jewelry where each precious gemstone is never the exact same, our color options vary ever so slightly. In 1950's Black and White TV was popular in living rooms in America, but by the 60's colored TV started to take off. Colored Solar™ is comparable where the technology is now available, to match traditional architectural elements which balances design and function. Homeowners value the aesthetic look of their home because it is a self expression of who they are, and they want to be proud to display it. Colored Solar™ panels are only one of our solutions to creative renewable energy design. Our core business is in manufacturing of flat plate photovoltaic modules or panels to meet the demands of our customers. In 2014, we now Distribute, and Design Lithium Ferrous Phosphate state of the art power storage solutions, to "Harness the Power" of the suns. Both products are manufactured in the USA, and are Safety Certified at the best testing facilities, and laboratories in the world. Colored Solar™ panels compared to standard black solar panels? 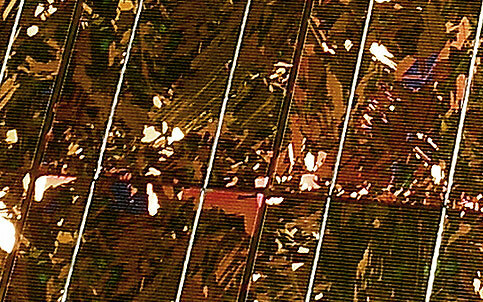 Colored Solar™ panels are manufactured to exceed in energy performance, unique aesthetics, longevity and design. Form follows function and design and engineering go hand in hand. Homeowners value the way their home looks, and our colored solar panels are designed to enhance traditional architecture. How much does Colored Solar™ panels cost? Unique Colored Solar™ panels are not a commodity like standard black solar panels. Our PV panels are individually manufactured to the highest exacting standards, and cost competitive to standard solar panels. Authorized resellers throughout the world, and in the USA can provide you with current pricing.